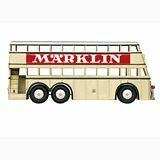 Model Trains from Marklin, Trix, Minitrix, Brawa, Fleischmann and others. This category also consists of Digital Components and accessories, Buildings and stuctures from Faller, Vollmer, Kibri, and Pola; signals and catenary by Viessmann plus many other items in all Scales: HO, N, 1 and Z gauge as well as G scale. Car system from Faller and static models from Vollmer and Model Power. The incredible Preiser finishes this category with its impressive selection of Model Figures in all scales, hand painted and a few waiting to be painted. There is a FALLER, Kibri or Vollmer product on virtually every model railway layout. Our house and building selection is enriched by fascinating miniature worlds, the car system and an extensive range of accessories. Apart from the products for the model railways in the various track gauges (HO, N, TT, Z and G), you can also dive into other fascinating worlds of models with our brands. Thanks to internationally renowned brand products which are sold exclusively by FALLER, Vollmer, Kibri and others, whether construction kits or ready-made models, an illustrious spectrum of various themes, types and scales awaits you. Educational Construction This series of craft projects was designed to introduce the use of basic craft tools to the newcomer hobbyist and provide them with an action filled finished product. Each kit illustrates by doing, the many methods of using motor power to activate a model and teaches the fundamentals of mechanics used in transportation. Each kit is complete, except for batteries. Elecraft Series Electric craft series provides a wide range of parts for any kind of project involving electricity. You can construct a variety of electric models in combination with these reliable switches and cords. Kit such as Line Tracing Snail Kit contains all required electric parts for educational fun. Robocraft Series This series consists mainly of robots with mechanical and unique movement realized via motor. Colored clear body and clear gearbox enable demonstration of mechanical functions. Tools are supplied and no cement is required for easy assembly. Rubber tubing allows easy wiring. The see-through look, itself makes this model quite the cool-looking desk ornament. Solar Mechanics Series This series introduces the builder to solar cell technology in a hobby craft kit. In addition to the basic assembly kit, individual solar panels and specially developed motors are available separately from Tamiya. Technicraft Series The technicraft series consists of construction items that will motivate or illuminate your models or craft projects to a degree of sophistication that will amaze you. All kits are complete with quality hardware and fittings (brass, cast iron, ceramic, copper) needed for completion. All models are faithful historical reproductions. Detailed building instructions are included with every kit. Only top-quality woods are used in Constructo and Artesania Latina kits. Beginner kits have preconstructed hulls for easy assembly. The famous Forces of Valor Die Cast items can be found on this Category. Find here these incredible detailed products in scales 1:32 and 1:72 and exclusive Limited Editions of 1:16 Tanks. Mostly military models despictes many epoch and scenarios during the World War II in perfect created Die Cast models. Estes Rockets are the most comon and widely available products for your Rocket projects. We offer the complete line of these fine products on this Category. Special tools, helpers and material to finish or build projects. Here you may find hand tools as well as motor tools. Batteries NiMH and LiPo from 200 Mah till 8000 Mah, voltages from 1.2 Volts up to 24 Volts can be found here as well as the chargers for them. LiPo chargers and balancers wall and car inputs or both. PLEASE NOTE Manufacturer precautions and warnings about use and charge of Batteries, specially LiPo that can explode or melt, in or out the charger or on the device if not follow carefully the instructions on them or on Manuals of your product. Rechargeable batteries require special attention and all have a maximum time for recharge. Exeding the max time can result on damages, fire or explosion of batteries. Never leave a battery unattended.